Extra virgin oil is that kind of olive oil which is got from the first press of the olives without applying any kind of chemicals or even heat on those olives. This is extracted only pressing olives with machine or any other means to get oil. Extra virgin oil contains .32% acidity where all other oils contain normally .25%. So the acidity level makes this oil bitterer in taste. 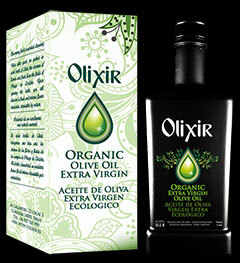 This extra virgin oil is considered as the super quality olive oil that the other one. There are different types of Spanish olive oils are available in the market like extra virgin, virgin, pure and several other olive oils. Extra virgin oil is superior among all. This extra virgin oil can be classified into different category depending on its taste, color, acidity etc. First of all the Spanish extra virgin oil can be differentiate broadly according to the using patterns. Coupage and mono-varietal are common two terms which are used in this oil. Coupage is that kind of olive oil which is made from different kinds of olives juice. This is made to have a different taste and different types of ingredients in single oil. This type of coup-age oil is very much popular to the consumers. This is even considered as the pure traditional craft-work The mono-varietal extra virgin oil is that kind of olive oil which is made of same type of olives. This is also very popular to the consumers as well as considered as a very exclusive one. Color is one of the factors which have differentiated extra virgin oil into different categories. According to it the extra virgin oil is either gold or green. The color of olive oil depends on the amount of chlorophy11 and carotene. People normally believe that the color of natural olive oil means green olive oil will have the best quality but it is not true. The taste is another indicator to make extra virgin oil different types. There are different tastes extra virgin oil are available in the market like fruity, grass, apple, almond, bitter, hot, astringent, sweet etc. Fruity tasted extra virgin oil seems as fresh olives. This type of oil is healthy by their nature. People normally like to taste fruity taste olive oil. This olive oil is mainly made from extracting oils from green olives. There is another type of olive oil which is tasted like grass. If you want to taste real grass then this grassy tasted extra virgin oil would be your best choice. This olive oil will remember you about the olive leaves and grass properly. In the market there is even apple tasted olive oil is now available. It is totally taste like apples. And there is so more Spanish extra virgin oil in the market. Like almonds it is tasted sweet. You will get the aroma of dried fruits from this oil. Bitter one has typical taste, some posse’s spicy taste normally used in fast foods etc. So you see that there is a lot of Spanish extra virgin oil available. Choose your best one and enjoy the taste, aroma or color of Spanish extra virgin oil. This entry was posted in gourmet olive oil, Olive oil review on May 3, 2013 by Shara Binte Hamid. Hojiblanca olive oil can be found in plenty in Cordoba, Seville and Malaga. Hojiblanca olives are the mark of antiquity in Spain and mainly produced for collecting olive oil. Hojiblanca olive is available in various flavors in Spain including lightly peppery, fruity, bitter sweet and almonds. Hojiblanca olive oil is mainly preferred for its frying sautéing and frying facility. Not only in frying, people also like to use this olive oil in baking. This olive oil is the result of olive crush and has slight pepper taste. In the international competitions of olive oils Hojiblanca oil is constantly prevailing at the first position. In cooking fish, vegetables and meat, Hojiblanca olive oil is given the most importance. Some brands of Hojiblanca olive oil are Rincon de la subbetica, Oro bailen, Venta Baron, Parqueoliva Serie Oro, etc. Apart from the other olive oil classes; Hojiblanca oil is especially different for its aftertaste, smoothness and flavor. Low saturated fat and taste are two specific reasons why people randomly choose this olive oil. Hojiblanca oil is different in the extraction process and it is completely safe for heart. Natural process is maintained to produce this olive oil. The difference between Hojiblanca olive oil and others will not be clear to you, before tasting it with bread on your breakfast plate. Its spicy and bitter taste will take different place in your mind and you will remember it distinctively. A slight mistake in cooking can be covered with olive oil as it can increase the taste of food item and make attractive. Hojiblanca olive oil can be used raw and in cooking. Frying vegetables and grilling meats will get new type of taste after using this olive oil. Though, extra amount of oil will increase the amount of calories in the food item, olive oil will create positive effect on health for its antioxidant properties. In Spain there are 260 types of olive are being cultivated regularly. The variety of fragrance and flavor gives different experience about the diversity in the taste of Spanish people. In Spain, there are so many variations in olive oil preference that it is really difficult to figure out one specific type of olive oil for everything. Home cooks and chefs always choose their type based on their need. Different olive oil give different flavor and people, who like the flavor of Hojiblanca, select Hojiblanca olive oil. Half of the total production of olive oil in the world takes place in Spain. If you can see the use of olive oil, especially Hojiblanca olive oil, then you will have no doubt. If any people want to taste all of the categories of olive oil in Spain that is possible, but he can never remember differently. But, some people like specific olive oil like Hojiblanca olive oil. They have their own argument supporting their taste. 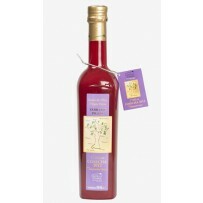 People like Hojiblanca olive oil as it is chilling and stable in taste as well as use. This olive oil is great for gazpachos. In international olive oil competitions, Hojiblanca oil is the most popular olive oil. This entry was posted in gourmet olive oil, Household on April 28, 2013 by Shara Binte Hamid. Picual olive oil is one of the best oil produced in Spain. In Spain there are more than 262 types of olives are cultivated. 24 types are produced regularly. All 262 types of olives are categorized into four types they are principal, dispersed, secondary and local. The picual olive oil is one of the most important types of olive oil. More than fifty percent of olives produced in Spain are picual olives and in the world more than twenty percent olives are picual olives. So you can now understand how much important or popular the picula olives or the picual olive oil is. Though picual olives are now produced all over the world. The production of olives normally concentrated in the jaen as well as its neighboring areas. The size of the picual olives varies. It normally sizes medium to the large. The weight of this picual olive is 2.1 and 3.7 grams. The average weight of this type of olive is 3.2 grams. Producing picual olives are very profitable because the flesh to stone ration of this olive is 5:6. The picual olives become mature between the starting of the December and the mid of the December. Picual olive oil is very high in their quality. 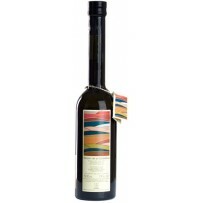 This picual olive oil becomes very popular because it contains fatty acid and antioxidants. This picual olive oil normally contains eighty percent monounsaturated oleic acid. This acid is very important for the prevention of the cardiovascular diseases. This olive oil also contains linoleic acid which is very harmful for health. But you don’t need to be worried. This oil contains only four percent linoleic acid, only the excess amount is harmful for health. So you can use this oil without any tension. This picual olive oil taste slightly bitter has a little sent of wood. The picual olives are normally cultivate in the mountains areas so picual olive oil has a tendency to have more fresh flavor and sweeter than other olive oils. You can use this picual olive oil for different purposes. Normally people use picual olive oil for frying purpose and it is also good for making gazpachos, salads and souses. This oil can be used instead of the vinegars. You can make appetizer with this picual olive oil. shake over some grated cheeses with some spices and use that as the dipper for crispy bread which is fried with picual olive oil. After making it you will get the sweet flavor of picual olive oil from your appetizer. For different purposes we are now highly depend on the olive oil. In our daily life we are using olive oil. from cooking, massaging, for skin care, hair care, for baby care, for polishing furniture and for so many works we are using olive oil. You will get the best result if you use the best quality olive oil. There are a lot of olive oils available in the market. Choose the best one to have the perfect result. Picual olive oil is highly used and popular olive oil. If you want to use olive oil for your foods and want the great result then you can take picula olive oil without any hesitation. This entry was posted in gourmet olive oil, Health benefits on April 27, 2013 by Shara Binte Hamid. Olive oil Mediterranean diet – Why? Olive oil Mediterranean diet plays one of the major roles in preventing heart disease. Mediterranean people have more healthy and long life than the other people in the world as they mostly associated with the genuine Mediterranean diet which is very highly consist of low animal products. This is their traditional diet. This diet is rich with the huge amount of olives as well as olive oil. Olive oil Mediterranean diet is the main source as well as the primary base of all cuisine of Mediterranean. 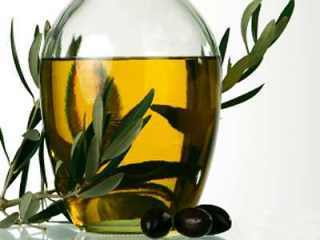 Olive oil Mediterranean diet has been playing an important role for occurring low record of heart disease among the people of Mediterranean. 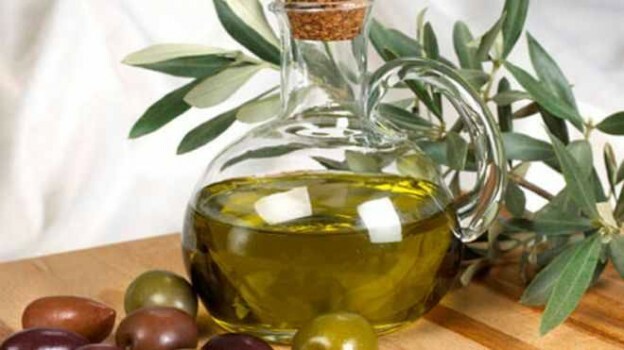 Research has said that the olive oil Mediterranean diet is able to prevent the damage of arteries. The olive oil reverses the high level of cholesterol in blood and lowers the level of high blood pressure. So if you follow olive oil Mediterranean diet plan you will be free from the risk of stroke. You may think that why you should choose olive oil to have Mediterranean diet. This oil is very much helpful for our health. To have olive oil Mediterranean diet plan you should use extra virgin olive oil. The extra virgin olive oil is one of the great sources of monounsaturated fat. Olive oil contains fat, but monounsaturated fat is not harmful for our health. The monounsaturated fat does not get jammed in the arteries so there are no chances that your heart will get blocked with fat. Extra virgin olive oil is much expensive than the other virgin or pure oil because the extra virgin olive oil produced without mixing any chemical. And the oil is extracted with the first pressed, so the amount of the oil extracted is also low. These two reasons make this extra virgin olive oil more expensive. If you want to have healthier like the Mediterranean people you should use extra virgin olive oil in the olive oil Mediterranean diet because this oil contains vitamin E or the alpha-tocopherol. The tocopherol is the highest level of antioxidant which works against the oxidation in the cell membranes. It is proved that those people have lower level of vitamin E in their blood they are in more risk of damaging the arteries than those people who have adequate amount of vitamin E in their body. You may know that one tablespoon of extra virgin olive oil contains 1.6 mg of vitamin E on condition that eight to fifteen percent of the daily intake which is recommended. So I think you can now understand why extra virgin olive oil for making olive oil Mediterranean diet. Despite having higher cost you should use extra virgin olive oil for making olive oil Mediterranean diet, as this oil is free from any chemicals and it also contains more anti oxidants. Spain is best for producing olive oil. Olive oil produced by them ranking the first position. So if you want to have olive oil Mediterranean diet then chooses olive oil produced in Spain. The quality of that olive oil is much higher. Cornicabra olive oil – fruity flavored! Cornicabra olive oil has bitter pungent taste and the color is greenish gold. From Ciudad and Toledo, this olive oil is mainly produced and distributed all over the Spain. 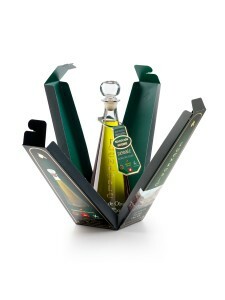 Cornicabra olive oil is extracted from special horn shaped olives, which are goat horn shaped. Oil taken from the Cornicabra can be used in bean salad or warm potato indirectly. Cornicabra oil is delicious enough to enjoy when eating other dishes too. Green vegetables, braised vegetables, escabeches, chicken or sautéed fish will be tasty to eat with Cornicabra oil. Castilla La Mancha is well known in Spain for Cornicabra Olive for the taste of the olive oil. In Spain, different types of olive trees are available and Cornicabra olive tree is one of the well adapted species. Some name of Cornicabra olive oil are Melgarejo Delicatesen, Fuenroble, Castillo de Canena, etc. Cornicabra olive tree is open shape, vigorous, mid-high, top dense and can live on dry grounds. Though Cornicabra olive tree can line on dry ground, Cornicabra olive oil is available in plenty in Cornicabra olives. In frost and drought, Cornicabra olive tree can live without any problem. The leaf of Cornicabra olive tree is green color and the back side of the leaf is grayish-green. When the olive tree is small in size, at the primary level, production is slow. But at the middle age of the trees, production variety becomes high. After ripening, Cornicabra oil remains stable over time. Cornicabra olive trees are strong, late blooming, middle ripening and deep rooting. As the roots go deep of earth, they remain resistant from uprooting in storms. Fruits of Cornicabra olive tree have round base, asymmetrical and long. Cornicabra olive oil is extracted from the horn shape olives. Most of the Cornicabra olive trees are found in lighter soil, which is very much helpful for growing olive tree. The irrigation process is also important to get the best quality Cornicabra olive oil from the fruits. Cornicabra olive oil contains high amount of antioxidants. But for pure and best quality Cornicabra olive oil, we must wait to get the processed olive oil from mills with great care. This olive oil has excellent quality and characteristics and its color can be intense green to golden yellow. Olive oil is like aromatic oil and fruity, but tastes spicy as well as bitter. Where, normal frying oil is not stable and finishes soon. But, olive oil will decrease the cost of frying food items. Sauces, dressings and salads will get completely new taste with this olive oil. Spain is versed with various Spanish products including sherry, wine, special hum and of curse Spanish olive oil. Spanish dinner, lunch or breakfast cannot be imagined without olive oil item. When families get together, they use olive oil as fundamental food item. Half of the world’s olive oil production (50%) takes place in Spain. More than 260 varieties of olive are cultivated there to get olive oil. Cornicabra olive oil is one of the most favorite olive oil categories. The average Cornicabra olive oil yield is 20%. Spaniards choose the type of olive oil based on their need. This entry was posted in gourmet olive oil on April 27, 2013 by Shara Binte Hamid. Early harvest olive oil, yes it is not a recent product. Olive oil has been used for more than thousand years because of its usefulness. Olive oil has a lot of benefits which enrich the man kind from different perspective every day. Becoming an Early harvest olive oil makes it place in our kitchen for making different kinds of foods, home for polishing our furniture, massaging our body etc. the olives reach their full size in the time of fall and don’t ripe fully until it is the late winter. The green olives are bitterer to taste and contain less oil. These green olives possess high level of polyphenols. The oil from these green olives is more costly because it takes more olives to get oil. Most of the people like the taste of early harvest olive oil. Early harvest olive oil is green, bitterer to taste and have more fragrance. The chlorophyll that is contained in the unripe olives is also highly rich in the natural antioxidants. The taste will be a bit bitter but spicy due to the high concentration of polyphenols and anti-oxidants. The oil would be more expensive owing to the requirement of more olives for preparing a bottle of oil. However, certainly preference of everyone is not same. Everyone will not like the peppery and bitter taste of first harvest olive oil. Flavour notes of grass, green, green leaf, pungent, and astringent are used to describe first harvest olive oil. The olives are exclusively collected by hand so that the olives are not injured during harvesting. They call it Olive Oil from first harvest olive, when olives are picked in October instead of November or December. There is lots of early harvest olive oil available in the market. Many countries are now producing this olive oil now a day. Above all those countries the Spain are topper. Most of the people like the flavor of early harvest olive oil. It is rich in health benefits which lead a long and sound life. Most like the wine, the climate, region and a lot of other factors helps Spain to produce the great quality olives oil. Spain weather influences the production of the olives oil. There are a lot of factors which determine the flavor of early harvest olive oil. Though olive trees produce crops for more than a few months, the time is a very important factor to determine the flavor of early harvest olive oil. The earlier the olives those are bitterer with strong flavor. The later the olives those are milder as well as buttery. The mature green olives are those which are harvested in the time of fall that produce a sharp flavor, more peppery, woody or grassy. Those are harvested in the early winter are ripe has smother taste than the green one. The processing process also affects the flavor of early harvest olive oil. The processing process is very important factor. How the olives are handled after harvesting place an important role in the taste of early harvest olive oil. Normally fruits are cursed after picking up. Then they are placed into a mask which is packed and then that is pressed to extract oil from them. This separated oil is left over three to six months. The longer the process of aging the taste of the oil will be less bitter. There is special process which help the Spanish olive oil company to intact the flavor of early harvest olive oil. You may notice that the flavor of olive oil goes as the time goes by. To preserve the flavor of Spanish early harvest olive oil tries to store the oil in a dry, cool and dark place like pantry or cupboard. Light and heat is responsible to degrade the quality and flavor of early harvest olive oil. This entry was posted in Agriculture, gourmet olive oil and tagged First day of harvest, First harvest olive oil on April 23, 2013 by Shara Binte Hamid. Olive oil for salads: which one is best? Olive oil for salads is now very commonly used in these times. But all the olive oil is not suitable to make salads. Which is the best olive oil for salads is a very common question. Extra virgin oil is perfect to make salads. Olive oil is very reach in their quality. The most common and favorite olive oil for making salads is Rincon de la Subbetica. The producer of this oil is Spain. This oil is rich in flavor, fragrant and other vitamin ingredients which are very helpful to making salads, dipping and cooking. Mainly people of America, Italy as well as Spain use this extra virgin olive oil for salads. Melgarejo Delicatesen, Melgarejo Selection, and Castillo de Canena Reserva Familiar Picual are very popular to be put in salads. There is no hard and fast rule to use the olive oil for salads. The using amount is totally depends on the personal taste and choice. As there is no such thing like best wine or cheese, there is no olive oil that is best. People of different choice take different types as well as different amount of olive oil for salads. You can store olive oil for months if you don’t open up the bottle or tin and place out it in the direct light. The flavor of the olive oil will decreas if you keep your oil opens in the air. The most mild flavor olive oil is more fragile to loss their fragrance. There are some other olive oil which can be kept for two to three years without having any serious effect on its fragrance. If you really want to use olive oil for salads it is better to choose the ‘extra virgin oil’ and ‘virgin olive oil’. Both of these oils are cold pressed from olives without having any heat as well as chemicals. So these will be better for your health. Those oils are good for making salads which contains rich amount of ‘monounsaturated fat’, ‘alpha linolenic acid’ and ‘phytochemicals’. Both the ‘extra virgin’ olive oil and ‘ virgin’ olive oils contains these ingredients. Olive oil is also a great source of vitamin E.
Salads are mainly condumed by American people, Italian people. They normally have good health. The secret of their good health is their food habit. They not only use olive oil for salads but also making pasta, pizza or any other foods. People use olive oil for salads to bring extra taste as well as decorative purpose. Choose olive oil for salads and other foods according to your taste and be healthy! This entry was posted in gourmet olive oil, Household on April 22, 2013 by Shara Binte Hamid.